A modern home, next to a park and near a shopping village that includes an IGA, bottle shop, fish and chips, cafe and gym. The room for rent is upstairs, with an additional living area and where the bathroom has a bath. The room easily fits a King bed, has ducted reverse-cycle airconditioning, a large built-in wardrobe and a slight view of the city. Parking is available in a lock-up garage if required. Close to main roads to the city and the airport. Short walk to buses that run about every four minutes during peak times to the city and ECU Mount Lawley. Bedroom and house is fully furnished (queen bed). You would have your own bathroom and there is a seperate toilet. Secure off road parking behind a gate. The house is the back duplex, quiet, has an alarm and reverse cycle, ducted air-con. I have a treadmill set up in the garage, so feel free to use. 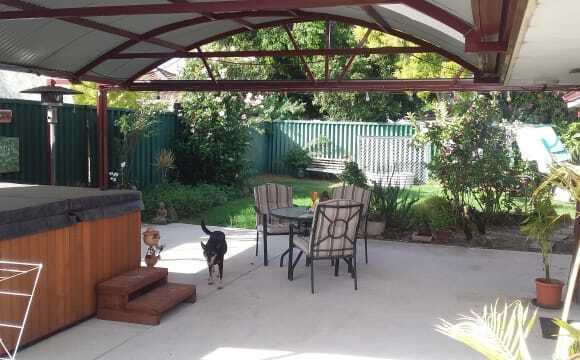 Have a courtyard out the back with a bbq and outdoor setting. Not much garden to look after. No smokers, sorry. The house is set right opposite a park in a very quiet neighborhood. Light street park is a few minutes walk away. If you hop in a car you have a choice of Morley Galleria, Dianella Plaza or Wellington Village shops just 2-3 minutes drive. There are bus stops on Morley Drive (about 2 minutes walk) and to get to and from the airport only takes 10-15 minutes by taxi. The house has a very powerful 2 year old evaporative cooler and for winter there is a very good gas heater in the family room. The gardens are very well stocked with a great variety of fruit trees such as, mango, pear, apple, pomegranate, grapefruit, oranges, lemon and lime and more. Hi there :) My name is Jason and I am a 35 yr old full-time working man looking for a gay-friendly house mate to share my happy home with. It is a spacious fully furnished house, (the two available bedrooms are unfurnished), on rear block situated on a quiet well presented street in Morley. It is very close to Crimea Park and Gelleria Shopping Centre with public transport only a couple of hundred metres away. The gardens are very easy to care for and the house is easy to keep clean. The outdoor deck area is perfect to entertain friends and family and you are welcome to use it as your own. The kitchen has a huge double door pantry, double sink, dishwasher, gas stove, electric oven and breakfast bar giving heaps of bench space. There are two rooms available for you to choose from, both have built in robes with one of the available rooms also having its own reverse cycle air conditioner. You will have your own bathroom and toilet and plenty of privacy in the lounge as I have a separate lounge area adjacent to my room which I mainly use. You are welcome to use my smart TV on which you can watch Netflix using the unlimited NBN which is available. The housemate I am looking for must be respectful, clean and trustworthy with a kind and friendly nature. Applicants to be considered must be employed and have references. Although I love animals, unfortunately no pets allowed. There is a double remote lockup garage, generously sized, with kitchen access and access to back yard. You will have your own car space and plenty of room to securely store your things like camping gear, bicycle and tools. The weekly rent is $200 including unlimited NBN and water, with electricity and gas bills shared. FIFO workers welcome. Reference. I lived with Jason for over 5 years and he is a great housemate to live with. He is very friendly and helpful. He likes to keep the house clean which made me happy as I like a clean house too. He likes to have conversations but he also likes his own private space. Rooms available in quiet, secure, safe and convenient location. You can walk, skip or hop to Morley Galleria, Coventry market, restaurants, fast foods and bus station in Morley. No need for car but there is parking if you do have a car. Fully furnished which include large fridge, washing machine, full HD LED TV, DVD. Room comprises of a double bed, work/study desk, chair.. The property is suitable for students and young full time professionals. The property is well maintained and organised and peaceful. Just move in with your luggage. Only neat, tidy, clean mature adults should apply Sorry it’s NOT a party house. No Children and No Pets. Sorry Give me a call to arrange a viewing. Room 1 is $150/wk (single) . (additional $20 for a couple) Room 2 is $165/wk (single) . (additional $20 for a couple) Room 3 is $180/wk (single) . (additional $20 for a couple) This INCLUDES all utility bills (gas, water, electricity) and unlimited internet (NBN). Require bond, 2 weeks advance rent payment and minimum stay of 3 months. Longer term tenants preferred. Hi guys! Time to find new friendly flatmates to join the house! We have 1beautiful bedroom, with new 32" LED HD TV, full bedding... the rent is ALL INCLUDED $165 for a single person or$215if you are a couple internet, plenty of parking, cleaning products and washing detergents,cleaner once a fortnight all included, plus you get $25pw per person off your rent if you are going on holidays! It is great if you want the comfort of a studio but with the only different that you will pay a third of a price! So if you are looking for a place with all type of comfort, very affordable, A PLACE TO CALL HOME,call me for a viewing, but bring your luggage because you will want to move in immediatly! There are 5flatmates but 2 are FIFO so pretty much never at home.Thank you for reading! Veronica Please notice that at the moment I am not located in Perth because i work abroad and the owners, a lovely couple from Singapore will show you the room! Close to Dianella Open space. Easy access to Bus services to ECU Mt Lawley (10 Minutes) and Northbridge/City (approx 20 minutes) Within walking distance of Dianella shopping Centre. Air Conditioning and Gas heating in lounge. Storage in Shed. Share all utilities including internet. Share Washing Machine. Furnished mini flat in a share house. It is a lovely, cosy home and always clean and tidy - definitely not a party house!! Amply walking wardrobe, comfortable queen size bed, full sized refrigerator. The flat consists: Private entrance, living room, small kitchenette, bedroom, private toilet and shower, with high-speed Telstra NBN WiFi. 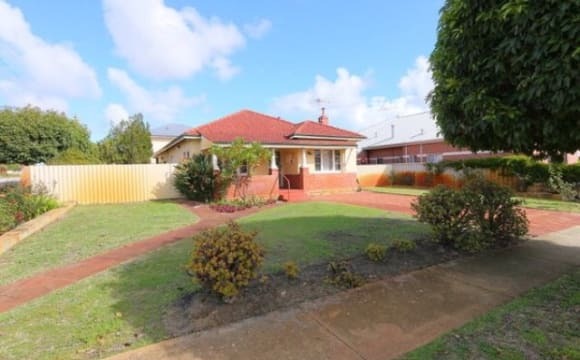 Located in a nice quiet neighbourhood about 20 min from CBD close to public transport and several shops including IGA, the post office and chemist. 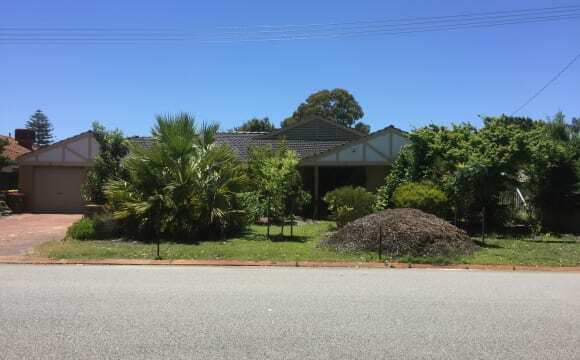 FIFO/airport workers would love the location- 15 min from airport. I live in a large 4 x 2 with secure undercover parking in a friendly cul de sac. You will have a room in a quiet section of the house with access to your own bathroom. It's 20 mins to the airport, 15 mins to Morley and 2 mins to local shops and gym. This room is quiet, has a walk in robe, the bed can stay or go? Shared bathroom. Only 10 minutes drive from the city - 2 minutes walk to the bus stop... We have so much space! We have a big outdoor entertaining area, plus the decking and the fire pit in the back garden. 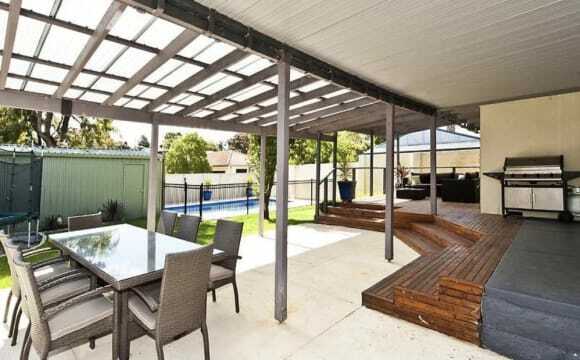 It's a peaceful home, a real gem hidden behind a big wall in Dianella. We have wifi and Netflix and a spa too, although we don't use it! The owner is great and I take care of the gardener and we have a cleaner every 3 weeks, she is amazing! Cost of room covers the room and bills, rent may be adjusted lower, just depends on how many people are living here. Hi, looking for potential Housemate. Fully furnished, very quiet, clean, comfortable and evaporative air conditioned. Located right in the heart of Morley 1.5Km to Centro galleria and Coventry Village, Less than 10Km to the CBD and a mere 20 Mins drive to Perth Airport. Bus stop is a doorstep away to Morley Bus Station. Currently a single room available for one person for $170/week, all inclusive, shared bathroom and toilet with two other working adults. Really good location as it’s close to everything you need!